Spring is a tricky, transitional time for skin: while grey skies and chilly temperatures drag on, humidity and bursts of warmer weather can lead to an unhappy complexion if not treated carefully. Add in the dreaded itchy, puffy, watery mess your face can unrecognizably be transformed into if you suffer from hay fever (like I unfortunately do), and product selection must be even more thoughtfully considered to soothe and ensure no further irritation. 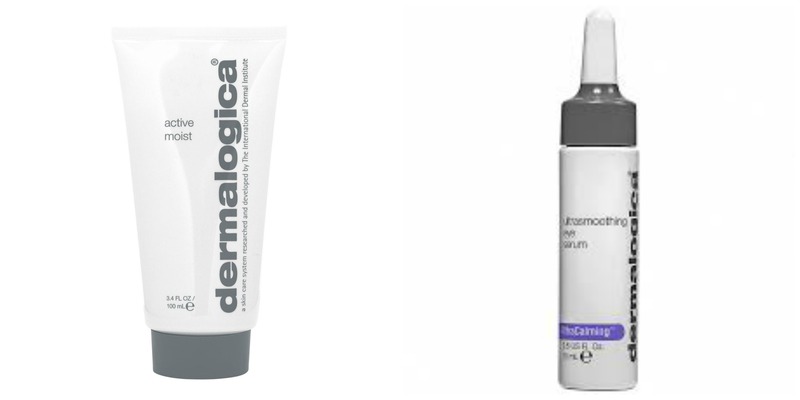 Since the first hint of spring (and sneezes), I have been a diehard fan of both Dermalogica’s Ultrasmoothing Eye Serum and Active Moist face moisturizer. During the frigid winter months — which induces a shudder at the mere memory of — I was no stranger to heavy, ultra-thick creams for both face and eyes, because whose skin could survive -35degree temperatures without them? Thrilled to finally be able to switch to something more lightweight, I was met with the difficulty of finding a formula that also works with my itchy, sensitive skin thanks to the aforementioned allergy suffering. In all my years as a beauty junkie, I have yet to find a more suitable face moisturizer than Active Moist. Oil-free, extremely lightweight and lightening-quick to absorb, this scent and oil free moisturizer does exactly what you need it to, perfectly. Formulated without artificial fragrances and colours, it glides on comfortably and sinks in to reveal a healthy, hydrated, even-tone and textured complexion thanks to the addition of Silk Amino Acids and a unique combination of plant extracts. Pairing perfectly with the Active Moist face moisturizer is their Ultrasmoothing Eye Serum; most affected by hay fever and extra sensitive from constantly wearing contact lenses, my eyes need a super gentle yet effective treatment. A powerful yet incredibly soothing serum, puffiness is completely diminished with the help of Golden Chamomile and Brown and Red Algae, while fragile skin is calmed by Oat Kernel Extract. The exclusive UltraCalming™ Complex helps minimize sensitivity, and Cross-linked Hyaluronic Acid optimizes hydration, and if that isn’t enough, it smooths fine lines and signs of aging with an advanced peptide that boosts collagen production. My face has honestly never felt and looked better.